My sweet little nephew turned five this weekend and we celebrated with a party together. He just cracks me up, he is such a character. Right now he is slightly nutty about Star Wars, as was his Dad before him....a long time ago in a galaxy far, far away. He’s also sweet, silly and snuggly and we love him. He has a stuffed animal aptly named “Elephant”, who is of course, and elephant. So, despite his Star Wars addiction, I went with this sweet little elephant from MFT called Adorable Elephants. I masked off our sweet little elephant and added 5 balloons, masking them as I went as well. I think he’s pretty cute. I used an older MFT sketch for the design, embossing the sentiments and popping them up. 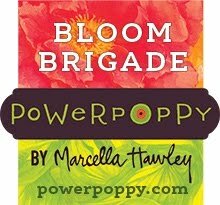 See you back here tomorrow for some Power Poppy fun! Oh, Christine, this is so adorable, and I just love the colors - bright and happy! 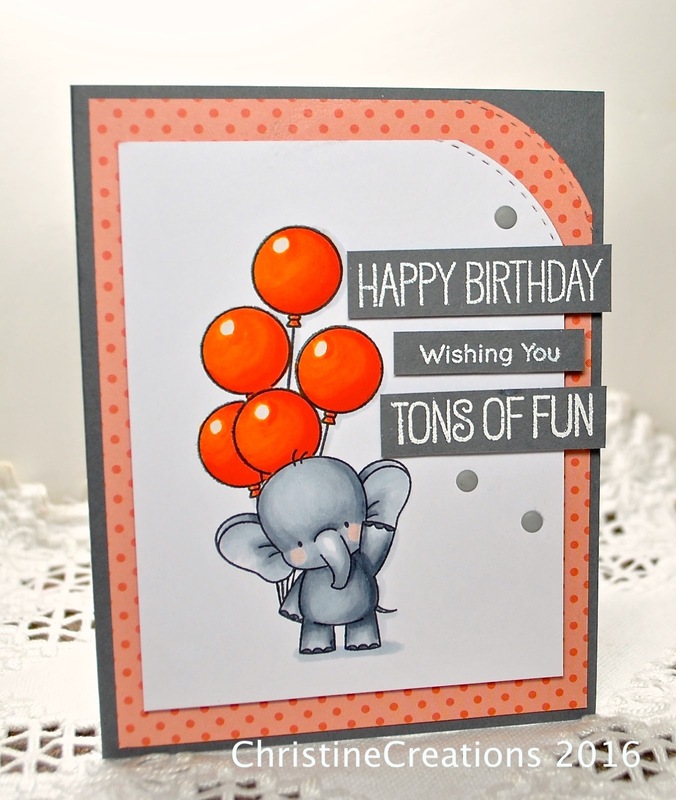 Sweet elephant and perfectly colored...and I love how you've done the balloons! Sweetness! Hugs! Oh my that is just adorable and sure to bring a big smile!! 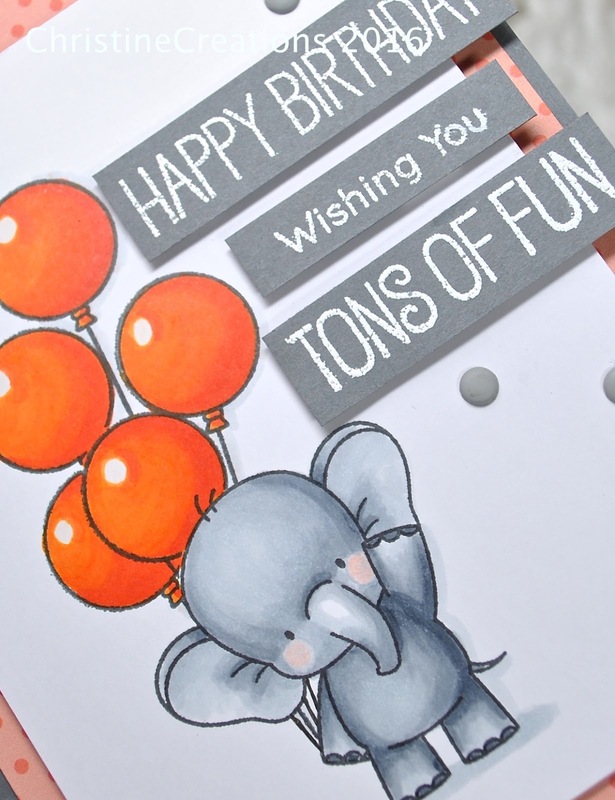 Love your adorable card and that cute elephant.